There are tons of anniversary gifts available to pick from from, whether you’re looking for something for your significant other half, friends, or members of your family. To help people out who are struggling for gifts, there are two lists that you can get ideas from. A modern and traditional list, both of which have symbols associated with specific anniversary years. So which should you choose to work with, or is it OK to go with your own ideas? The simple answer is it’s entirely up to you, and the preference of the couple in question. The History of Celebrating Wedding Anniversaries – how did it all Begin? 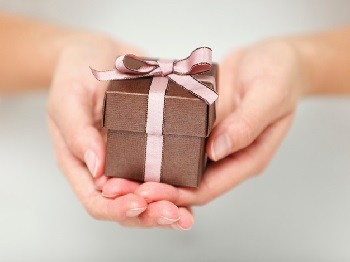 The tradition of giving gifts to celebrate a wedding anniversary can be traced back to the Middle Ages. At this time it was traditional to mark the 25th and 50th wedding anniversary with the giving of a gift. A husband would give his wife of 25 years a garland made of silver, and a gold one to commemorate 50 years. Over the years various other symbols were added until modern times, when every anniversary up to 15 years was allocated its own special gift, and for every 5th year thereafter. Let’s look at the symbols and the number of years they represent. This list of traditional gifts is a compilation of lists that are popular in the UK and the USA. The different materials increase in durability and strength as the years pass, and are meant to symbolise the increasing strength and durability of a marriage. Not everybody is using this list though, as there is a more modern alternative. This more modern list of items was compiled by librarians at the Chicago Public Library in 2000. And gives you a lot more relevant anniversary gifts for today’s modern couples. Wondering Whether to Follow One of the Tried and Tested Lists, or to Come up With Your Own Ideas? You might be pleased to know that the decision is yours entirely. There are no hard and fast rules, and certainly no etiquette to follow. If you’re the kind of person who loves to follow traditions then there’s a list for you. If the couple you are buying for are modern thinking, then the modern list of gifts should be right up their street. And if you’re happy to find your own way, well there’s no need to follow either. But it’s not all about you is it? It’s the happy couple who are celebrating their anniversary that should be considered when deciding which direction to follow. If you’re looking for gifts that will be appreciated by the happy couple or looking for anniversary gifts for her, the feelings and preferences of the recipients are what matters most. Traditional or Modern – Which are the Best Anniversary Gifts for Her? If you’ve come to the decision that you’re going to take inspiration from one of the lists, which is the best to follow? Think we’ve pretty much answered this question, but it’s not going to hurt to go over it again. The recipient of the gift is what should be taken into consideration, when deciding whether to go traditional or modern. If your beautiful wife is a stickler for tradition then no more needs to be said. But if however, she is not at all bothered by following old customs, then feel free to get anniversary gifts for her from the modern list. It’s also a poignant moment to mention that it’s not a wise decision to do nothing at all. Ladies find the celebrating of an anniversary extremely important. And we have to agree. Your wedding anniversary is not an event to be forgotten and swept under the carpet. Giving your beloved a token of your affection is all part of the deal. It will show her that your commitment to the relationship is set to continue, and she’s actually going to find it quite romantic. As the years pass, it will become steadily more difficult to find suitable anniversary gifts for her. What started off as an easy task in the early years, will change as her material needs change along with your marriage. Having two lists to go to for inspiration is actually a great thing, and means you don’t always have to come up with the ideas yourself. Both traditional and modern lists contain ideas for every passing year. Each list has its own suggestions, but there are some that are the same. In the traditional list are materials that were more commonly found in days gone by, for example tin and copper. Whereas the modern list contains more up to date options, such as optical goods and fashion jewellery. The traditional list has suggestions for every 5th year, but the modern list still contains symbols for every year. This may be due, in part, to the need to keep romance alive in your marriage, and doing everything you can to keep your love strong. For both lists the key anniversaries are the same, but the good thing with the modern list is that it adds some interesting options such as musical instruments, cars and furniture. If you make it to your 50th anniversary and look set to carry on your life together past this significant milestone you should consider yourself very fortunate. Research is now telling us that as many as 50% of marriages now end in divorce. All the more reason to keep marking the occasion with suitable anniversary gifts. With regards the answer to your question – there is no right or wrong answer. The only important point to make here is that anything is preferable to nothing at all. Convention tells us that the event has to be marked in some way, and it’s up to you how you choose to do it. Why Not Commemorate Your Anniversary with Your Own Tradition? Celebrate the passing years with a tradition of your own. After all there’s no reason why you have to follow the trends of other married couples. It will give you both the chance to make plans for future years, and will be a fun thing to look forward to, as another year passes. We’ve got a few ideas that are worth sharing, just in case you’re a bit stumped for ideas. Take a picture on every anniversary, beginning with one of you both holding a photo of your wedding day. Keep the previous picture in the shot as each year passes, and you’re creating a growing memory of this special day. So much love and care goes into choosing the wedding dress, that we thinks it’s a shame this special dress seems destined to spend the rest of its life in a cupboard. When your first anniversary comes along, or maybe at a later anniversary date, take off the plastic cover, dust it off and hopefully it’ll still fit. You might be thinking that wearing your wedding dress again, for whatever occasion, is a bit over the top. But you always have the option of getting it altered, and having a great dress to wear to help celebrate your anniversary. You might even be able to get it dyed a different colour. This has just been a brief introduction into the whole wedding anniversary celebration. We hope to be giving you plenty more ideas on how you and your partner can continue to make this day special. And cement and celebrate your love in many different ways.